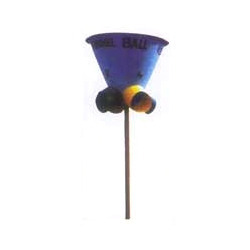 Our product range includes a wide range of playground horse spring rider, playground round spring rider, playground spring rider, bird spring rider, rabbit spring rider and elephant spring rider. 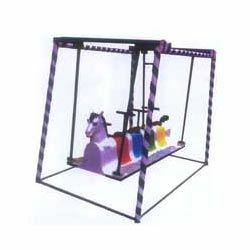 Our company is engaged in the manufacture, wholesale and supply of Playground Horse Spring Rider that is vastly popular for its appealing design and vibrant colors. Made available in standard specifications, these riders are widely known for their stability and ease of installation. 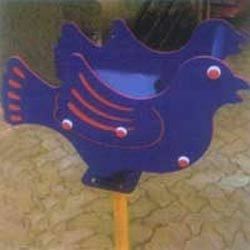 These playground riders are provided in multiple specifications to fulfill the varied client needs. Excell Fibrotech is considered an acclaimed name in the industry that provides Playground Round Spring Rider. Manufactured in accordance with the preset industry guidelines, the offered riders are widely demanded for their outstanding finish, colorful appearance and appealing designs. These playground riders are provided in numerous specifications to fulfill the diverse clients’ needs. Excell Firbotech is considered a grand name that is engaged in offering Playground Spring Rider, which is widely famous for its vibrant colors, flawless finish, ease of installation and safe usage. Vastly popular among children of all ages, these lightweight riders are manufactured using superior quality raw materials. Our customers can avail these products at affordable rates. We are engaged in the manufacture, trade and export of Bird Spring Rider, which is widely demanded due to its ease of installation and winning looks. Made available in various sizes, these riders are manufactured with the help of efficient high-tech machines. Known for their high durability, smooth finish, vibrant colors and cost-effectiveness, the offered riders are vastly requested for. Being one of the trusted names of the market, we are engaged in offering Rabbit Spring Rider that comes in shape of a rabbit. These riders are loved by children for their captivating looks and delightful playing experience they provide them. 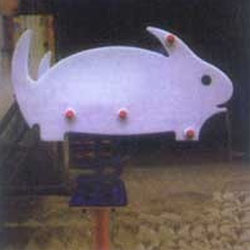 Manufactured in compliance with the predefined industry standards, these rabbit spring riders are highly asked for. Our clients can obtain these riders at reasonable rates. 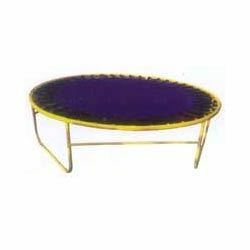 We are one of the acclaimed manufacturers, suppliers and traders of Elephant Spring Rider, which is made available in various appealing colors. Acknowledged for their longer functional life, optimum finishing, lightweight and alluring design, these riders are vastly demanded among our clients. 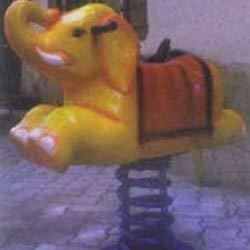 These elephant spring riders are provided at market leading prices. Looking for Playground Spring Rider ?